Just in case you want a sample of Shiftless to see if it’s your cup of tea, here’s chapter 1 for you to preview. If you find that you enjoy this tidbit, remember that you can download the entire book as a thank you for signing up for my newsletter by clicking here. At first, I didn’t realize they were talking about me. 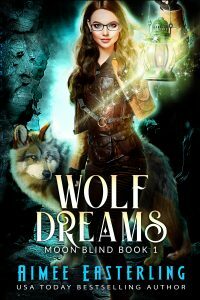 I was happily curled up in a comfy armchair with a copy of Patricia Briggs’ newest book open on my lap, already enveloped by the satisfying welcome of a werewolf pack, albeit a fictional one. Yes, this is what my life had come to—it had been ten years since I’d last seen a werewolf anywhere other than in a mirror, so I relied on books to get my pack fix. Depressing, but true. Momentary pleasure aside, the whole day had been one long mistake. I usually tried to stay away from the big city, but when I woke this morning, my inner wolf had felt like it was gnawing at my bones and my stomach ached with the absence of pack. Filling the gaping cavity in my soul with an imaginary wolf pack seemed worth lying to my boss, putting my good sense on hold, and playing hooky for the day. Only after I’d settled in a chair by the bookstore’s front window, paranormal fantasy in hand, did I see the error of my ways. Or rather, hear it. At first, I’d merely blocked out the man’s words as they drifted over to insinuate their way into my reading, but now I noticed the frustrated, yet loving, twist to the man’s tone. Despite my better sense, curiosity made me peer up from my page and crane my head around to seek out the source of the conversation. The speaker was about my age, and he did have a canine with him, but the slight smile on my lips leftover from overhearing his words was quickly stifled as I realized that the monstrosity was no dog. It was a wolf, and not just any wolf—the man’s companion was a werewolf like me. While you might think that would be a good thing given the yearning in my stomach, I had kept my distance from other werewolves for a very good reason. Now was not the time to go back. I could feel my cheeks heating up, and the man’s voice became distant as terror stole blood away from my ears, sending the nutrition to my tensed muscles instead. I had to get out of there fast. This danger was the precise reason I rarely came to the city. Even though the area was out-territory, not owned by any wolf pack, who was to say I wouldn’t bump into another werewolf drifting through? As much as I hated my history, my father was an alpha and I was aware that I smelled like the best kind of mate material to male werewolves. The alphas, especially, were used to taking what they wanted, and one glance into this wolf’s eyes was all it took to prove he was as alpha as they came. The reality was that I had fled my home pack a decade ago to prevent a forced mating. And even though the packless ache in my stomach was a constant reminder of what I’d lost, in the light of day, that pain still seemed like a good trade for my independence. No way was I going to let a momentary slip rope me back into being an alpha werewolf’s pawn—I needed to get out of this wolf’s sight immediately. Even though I hadn’t paid for my book yet, I figured it was a worthy casualty to save me from being drawn back into the werewolf world. So I dropped the text onto the couch cushions, sprang to my feet, and speed walked out the door, back into the seeming safety of the street. My car—and freedom—were only two blocks away, and I could almost taste how good it would feel to slam the door, pop the locks, and hit the accelerator. I could be back in my empty cabin in half an hour, this close call forgotten. But my car was still out of sight when I heard the bookstore’s door open and close behind me. No longer concerned with appearances, I broke into a run, Stupid, stupid, stupid echoing through my mind in time to the beat of my shoes on the pavement. 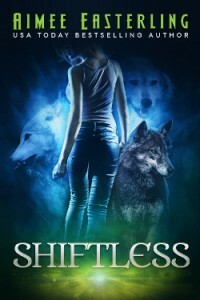 I couldn’t let myself believe that this is how I would be sucked back into a pack, due to a chance meeting in a bookstore while reading about fictional shifters. If I’d picked up Twilight instead, would I have been treated to a sparkly vampire? Even as that thought drifted through my adrenaline-charged mind, I realized that no one’s footsteps pounded after me. I would be able to see my car as soon as I rounded the corner, and for a moment, I thought I might be safe. Maybe I’d misread the acquisitive gleam in the alpha’s eyes; maybe a random customer had left the store soon after I did, not a hunting werewolf. But I knew better. With one short bark, the wolf stilled my flight, then the man’s voice came a beat behind, asking me to wait. But it was the alpha’s command, not his partner’s words, that had stopped me in my tracks. Just like my father’s orders had been impossible to disobey, now another alpha had taken away my free will with one bark. I was so angry and terrified, I almost expected to feel my wolf rising up through my skin the way it used to in the Chief’s presence. And for the first time in a decade, I would have welcomed her strong protection rather than being afraid of the wolf’s wild nature and sharp teeth. Instead, I heard only my human mind, which reminded me that there was no sense in running now that I’d been snared in the alpha’s net. Taking a deep breath, I let my shoulders slump as I succumbed to the inevitable. Interested? Click here to read Scene 2.